Last week, I reviewed 2017 from a personal perspective. That post was all about my travels, my trials, my triumphs and other happenings of the last 365 days. However, today, I'm looking at the achievements of this blog. I never imagined that this blog would grow the way it has this year. I could never have imagined that. I am so grateful for that. Thank you! So, what happened on Social Spying in 2017? This feels like it happened a lifetime ago-so much so that I hardly remember it happening. But, it did. I don't think I have done any collaborations with other bloggers since this one. I'd planned and hoped to do some more in 2017 but those never came to fruition. Hopefully, in 2018, that'll change. 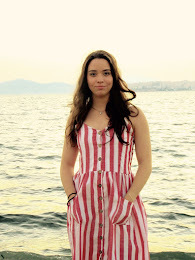 However, my first guest post was called '5 Questions to Ask Yourself Before Studying Abroad' written by Cecile. No one knew it at the time, but that was a sneaky foreshadowing of my own moving abroad- to the UK which you can read all about here. My blog has undergone many changes. It's been altered by my hand over and over again- whether it's colour, typeface or the size of a font. I even invested a few dollars and bought my own theme! I'm really happy with my blog currently, but I see myself making further adjustments in 2018. Time will tell what that ends up looking like. A goal that I'm just going to throw in here is that I'd like to possibly go self-hosted in 2018. I can't say that it's something I've explored in great detail, but I'd like to further look into it in the new year. I need to add this one on here to celebrate it! The logo of Social Spying has changed multiple times this year- and its set to change again soon. I finally removed the 'Girl vs. Greece' slogan which is something to celebrate in itself. 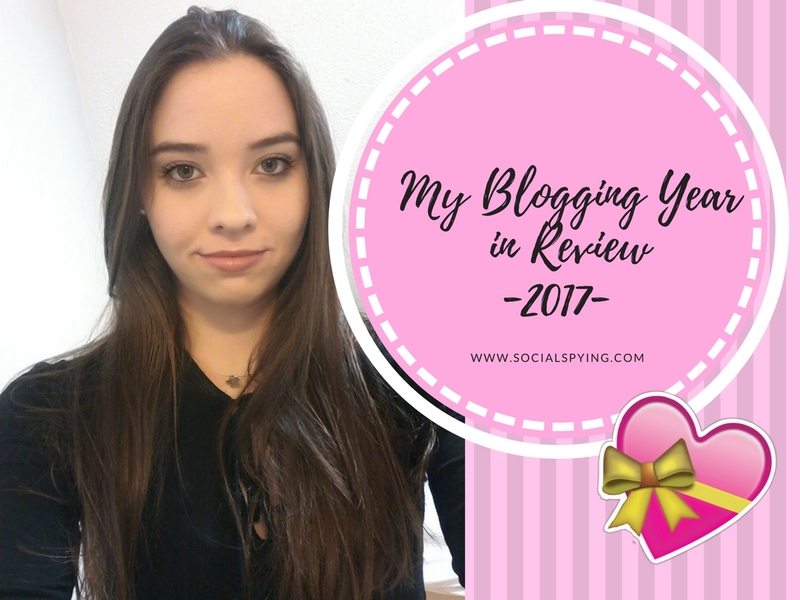 In 2018, I may even re-brand and change the name of this blog entirely, but for now, Social Spying is there to stay. I'll be honest, this one always catches me by surprise. Here's why: I like to think my personal posts are the most well written and well received, but this year, my most viewed post isn't personal at all- it's about blogging. Okay fine. I guess it was written from my personal experience of blogging...so maybe that counts. Back in June, I wrote a post called 5 Staggering Unspoken Sins of the Blogging World (and How to Avoid Them), which you should check out if you haven't yet. Seems to me that you're missing out! My love for Pinterest has ebbed and flowed in 2017. Sometimes, it was the first social media that I checked in the morning, in other moments of the year, like now, I haven't been on it for a good month and a bit. However, I'm glad that there's a page dedicated to my blog. Feel free to go over and give it a follow here. I've really enjoyed the odd rant, thread and ease of conversation on Twitter. I've probably enjoyed this social media the most in 2017. I enjoy having direct and more instantaneous conversations with many of my blog friends. If you'd like to reply to my tweets, give my tweets the odd 'like' and 'retweet', then you can find and follow me here. I'm definitely no Youtuber but, it dawned on me at some point this year that after two years of blogging, no one knew what I sounded like. To change this, I ventured into the world of video-making and put myself on Youtube. I made two videos about blogging and found that I really enjoyed the process throughout. I think I'll try to create more content on Youtube in 2018, which you can hopefully find here. In 2016, I posted 45 times (...okay, it may have been more but those aren't posts I'm proud of, which have seems been drafted and shoved into my archives never to be seen again...so they don't count). However, this year so far I have posted almost double that- and I'm proud of each and every one of them! This one is very apt considering that I live here now, however, Social Spying is the most visited by people in the UK. They may all be views from me but I like to think not. This is a tough one; I've enjoyed writing so many of my blog posts- some more than others. However, the first to come to mind was actually one that I wrote about how my parents show their love to one another after 30 years of marriage called 'More Than Just An Old Faded Photograph'. Social Spying turned two in 2017! And so far, it has been the best year yet! Finally, I just wanted to say thank-you! This year, I have been on the receiving end of such kindness in words, compassion and loyalty in readership. There have been people who have positively critiqued me and helped me make changes to Social Spying which has allowed me to create this space which I dedicate soo much of my heart towards. Thank you is a very small number of words for the very large kindness this blogging community has shown me over 2017. With that, tthhhhaaannnnkkk yoooouuuu! May 2018 and the years that follow bring you experiences worth capturing, people who make you laugh so much you stop breathing and joys that give you reasons to smile forever. Yay to all the great things you and your blog have done this year!!! S, you're honestly THE SWEETEST! Thank you for ALL your continuous support! 2018 has panned out to be quite the year so far, too. You've done so much Steph! If you ever want to guest blog on my blog you can! Happy New Year! I hope your 2018 is coming along wonderfully, Jennifer! And can you believe it's now almost nearing it's THIRS YEAR! That's inane. Thank you, Dabin! 2018 is turning out to be an exciting year too- and we still have over half more of it to go. That's so sweet. Thank you, Nabila! You're thinking of changing your blog name - to what?? O.o It's exciting doing a blog make over, I think I might do one in the early part of 2018 just to give me a boost into blogging, I've gotten so lazy. I have no idea! But, I have tossed the idea around my brain now and again. It's easy to get caught in a blogging rut. I'm keen for a bit of a blog makeover myself! That's so sweet, M! I definitely feel like I write my personal ones the best. I hope you're well! E! You're so wonderful for saying that! Thank you so much for all your love and support! It means so much to me that you enjoy the content I create!